Bachelor of Ayurveda, Medicine and Surgery (B.A.M.S.) is known as Ayurvedacharya in the ancient ayurvedic science and it is a bachelor degree program that has been awarded to the candidates who have completed their 5.5 years of graduation program including 4.5 years of academic education and 01 year practical internship in any of the reputed ayurvedic hospital. Study and teaching curriculum in Bachelor of Ayurveda, Medicine and Surgery includes the courses related to the modern anatomy, pathology, physiology & diagnostic procedures, preventive and social medicine, principles of medicine, pharmacology, forensic medicine, toxicology, ENT, obstetrics & gynaecology, Ophthalmology, principles of surgery, etc. Academic Qualification: The candidates should have completed their school education with PCB and Sanskrit with minimum 50% marks. Age Criteria: The candidates should be minimum 17 years of age. The candidates who are thinking of pursuing their medical graduation in Ayurveda, they are on the right track. A huge number of career opportunities are waiting for those who really hold the calibre and medical excellence. 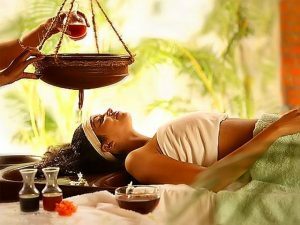 The Bachelor of Ayurveda, Medicine, and Surgery deals with the ancient Ayurveda science for healing the diseases and enhancing the immunity power. The total duration that is required for completing the graduation in Ayurveda, Medicine, and Surgery is 5.5 years, out of which 4.5 years are for academic education and 01 year is for the practical internship from any of the reputed Ayurveda hospital. The candidates who own the B.A.M.S are known as Ayurveda Doctor and the basic pay that are provided to them just after completing their bachelor degree in Ayurveda ranges between 2.2 to 3.5 Lakh INR annually. The hikes in their pay scale will be made after gaining necessary experience and technical skills to deal with a variety of complex cases. 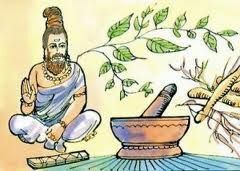 The Bachelor of Ayurveda, Medicine and Surgery is a bachelor degree that is carried out on the principle of ancient ayurvedic science which is used to enhance the harmony of kapha, pitta and vata for curing and prevention of human body from a variety of diseases. The candidates who have completed their B.A.M.S degree, they have a wide range of career options including Clinical practice, Research, Academics, Drug manufacturing, Management, and administration. For any type of career assistance or guidance about B.A.M.S, you are advised to contact our medical professionals to make you stand on the other side of issues and queries.